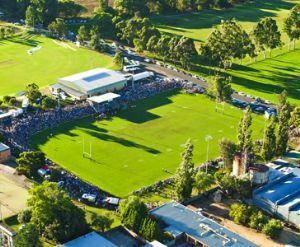 Bega will play host to this Sunday’s Group 16 Rugby League Grand Final, marking 70 years of the competition. Bega Valley Shire Council and the games local officials have combined to ensure a great day for players and spectators at the Bega Recreation Ground. Facilities at the Ground have suffered on the back of repeated vandalism, which has been a challenging set of circumstances for Council to manage. However Council’s Recreation and Leisure staff have been able to work with Group 16 Rugby League to find temporary solutions that deal with issues around toilets and catering. “Council is really proud to play its part as host for the games biggest day of the year,” Justin Welsford, Council’s Recreation Coordinator said. “The temporary toilet and canteen facilities mean the large crowd expected can enjoy the day in comfort,” Mr Welsford said. Bega Valley Shire Council is also pushing ahead with long term solutions, with upgraded facilities part of the Bega Sporting Complex Master Plan approved by Councillors in April. Mayor Michael Britten wishes the five Bega Valley teams competing all the best, and welcomes visitors from Bombala, Moruya and Narooma. “This is an important day in the cultural and economic life of Bega,” Cr Britten said. “The excitement generated will be huge, I’d ask everyone in the large crowd to look after your mate and respect the people and property around you,” he said. The Ladies League Tag Grand Final between Bega and Narooma starts the day at 10am.